Save money with our Reading Glasses Etc Rewards Program! Easy as 1,2,3. Everyone that wears reading glasses knows that one pair isn't enough. You can't find them when you need them. You need a reading pair and a computer pair. Maybe you need prescription glasses. The bottom line is we want to make you happy with your purchase and we want you to buy from us again. 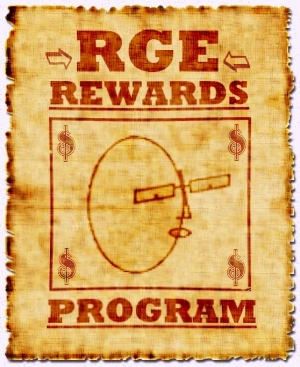 Our regular customers save tons of money taking advantage of our generous RGE Rewards Program. It is very simple. The more you spend, the more you save on future purchases. You will receive a confirmation e-mail that you have your initial $5.00 in RGE Points and can apply them with the coupon code in the e-mail. The more you spend the greater the coupon value! 3. Redeem Your Just Rewards. After you reach these tiers you will be notified by e-mail that you can unlock the points and apply the enclosed coupon towards your next purchase. Alternatively, you can see your available points and spendable coupons by logging in to your account, then clicking the Rewards Program tab at the bottom left of your screen. (It may or may not be visible on your cell phone. It may not be visible if you are using an Ad-blocker App.) Click the button and proceed. If you return products for a refund the points accrued will be deducted from your total. We cannot apply or refund coupons post sale. It is an automated App. If you forget to use your coupon, use it the next time! Unused points expire after 1 year. You will receive an email 30 days from when they expire. Most folks need more than one pair of readers. Start saving money now by signing up!